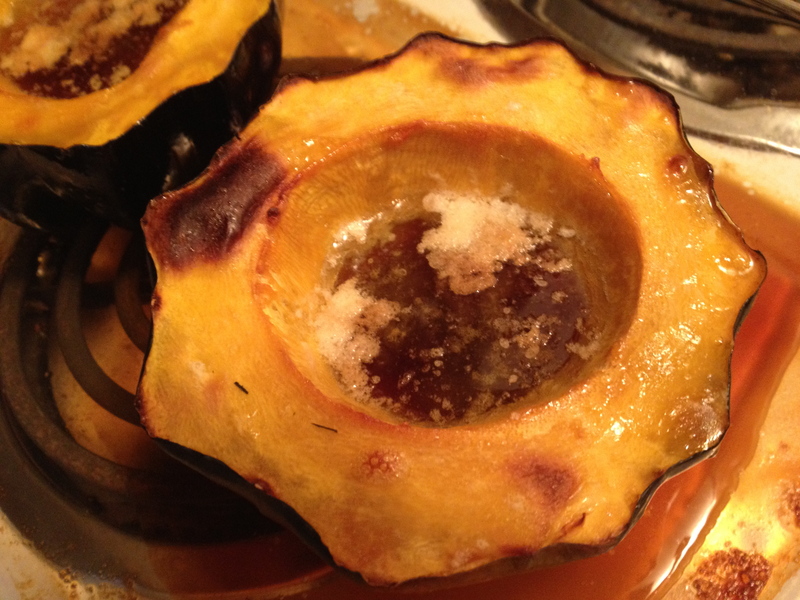 My attempt at “Perfectly Roasted Acorn Squash” as recommended at Eat, Live, Run. You have to try it. It’s super easy and unbelievably tasty. As I tweeted yesterday, if you do one thing this week, make it this recipe. Much thanks to Jenna at “Eat, Live, Run” for this fantastic “nonrecipe.” Better yet, visit the farmers’ market tomorrow and pick up a locally grown squash for your recipe! I’ve never had acorn squash, but I now have it on my grocery list! Happy blogging! I was going to recommend this recipe to you. I am a huge fan (clearly). Definitely check it out!